Looking to buy Hearthstone packs on the cheap? Fortunately, there is a way you can save some money. Normally, if you buy packs through Blizzard’s in-game store, it costs $50 for 40 packs. But, there’s also a lesser known way to purchase packs at a discount, by buying Amazon Coins. Amazon Coins are a virtual currency that can be used to purchase eligible apps, games and digital in-app items on Amazon devices, the Amazon Appstore for Android and Amazon’s website. Conveniently, you can also use Amazon Coins to purchase Hearthstone packs. So, by using Amazon Coins, which you can purchase here (under the “Buy Coins” link) , you can get 80 packs for about $83 ($1.04/pack), saving you 17%. Or save 20% and get 427 packs for $400 ($0.94 per pack) by buying 50,000 Amazon Coins. You must use an Android device in order for this deal to work. If you don’t have one, one option is to borrow a friend’s temporarily. Another option, if you have a decent computer and internet connection, is to use an Android emulator. Purchase the Rise of Shadows at a Discount! Since Amazon Coins can be used on any in-game content, you can also use them to purchase packs for the latest expansion, the Rise of Shadows! 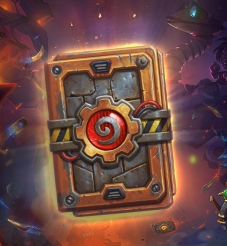 Or, if you’re looking to round out your collection, you can also use them on prior adventures or packs for previous expansions such as Rastakhan’s Rumble, or The Boomsday Project still available in the shop. It’s a great way to save up to 20% on all your packs. Buy discounted Amazon Coins , . Now, when you go to the Hearthstone in-game store, the option to purchase packs using Coins should show up. If your purchase is eligible to earn a bonus coin refund, it will also tell you as as part of the payment process. That’s it! Now it’s time to enjoy a well-deserved game of wizard poker!